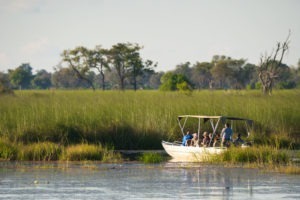 A private and remote slice of heaven in the Okavango, waiting to be explored in a wide range of activities. 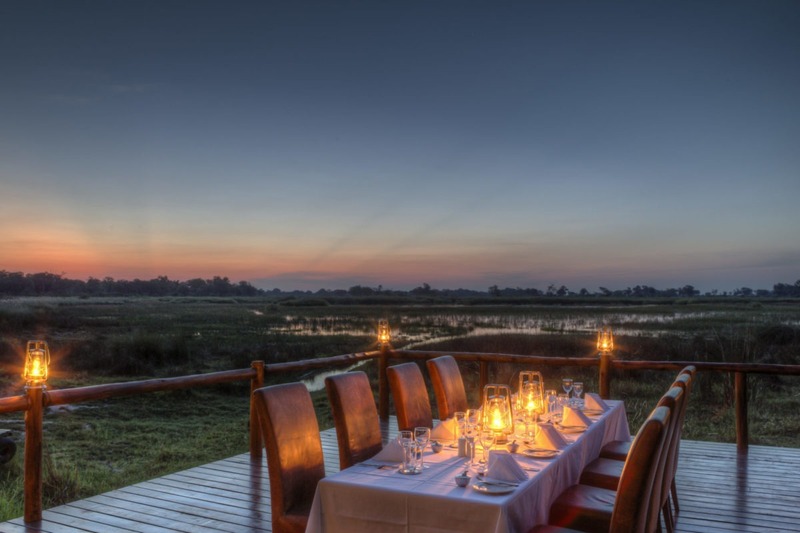 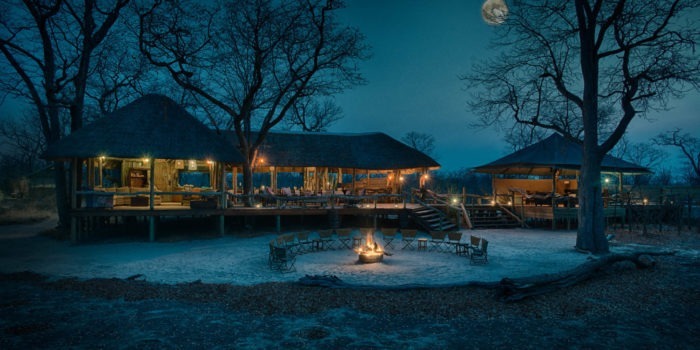 If Frank had to pick only one lodge to showcase the Okavango Delta, it would be Kanana as it ticks all the boxes. 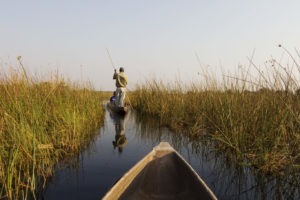 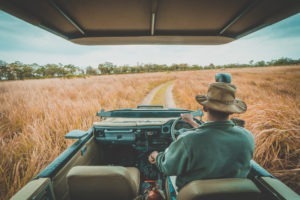 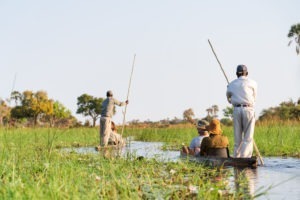 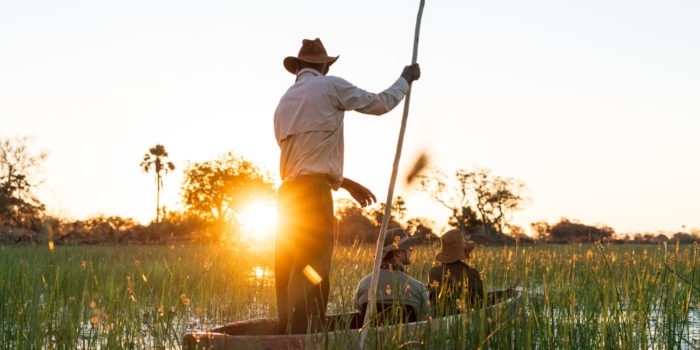 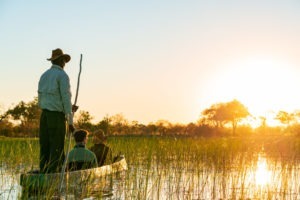 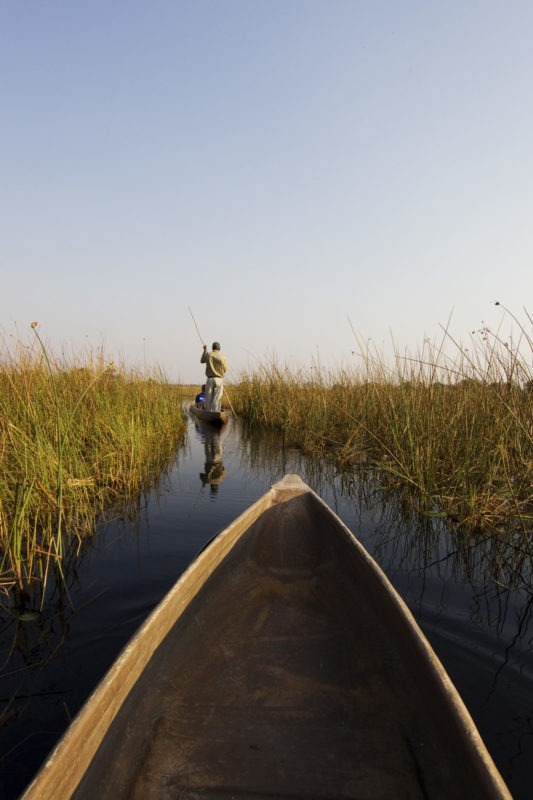 Set in a remote, private and beautiful part of the Okavango Delta, the Kanana concession is only accessible by small aircraft. 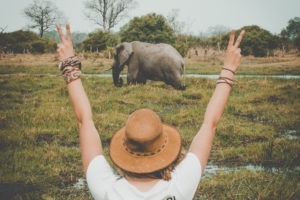 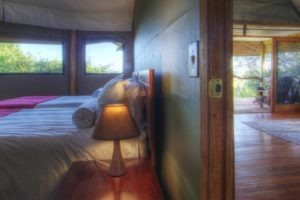 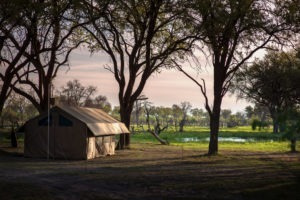 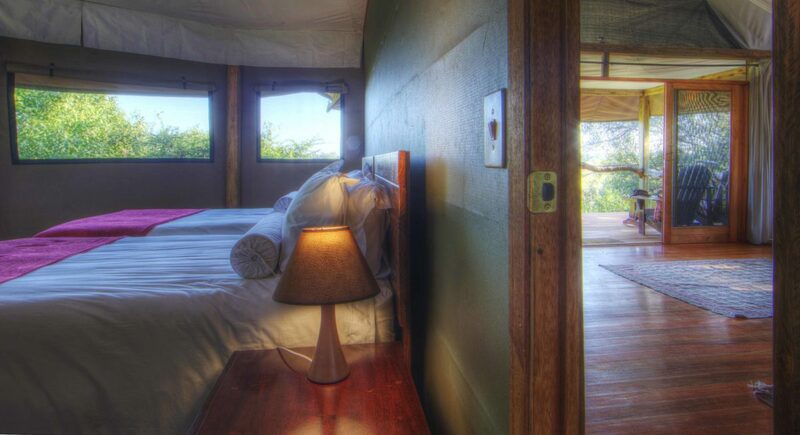 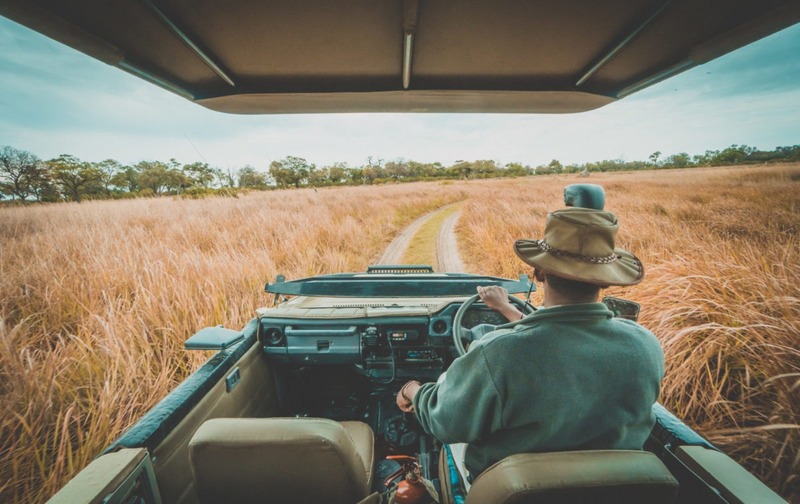 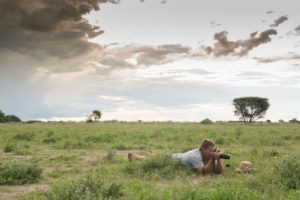 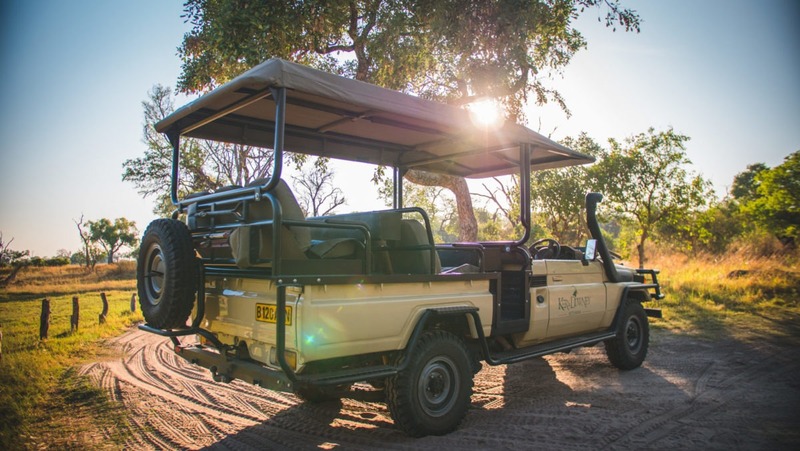 A short transfer then takes you from the open floodplains to the riverine woodland where the camp is beautifully laid out in harmony with its surrounds. 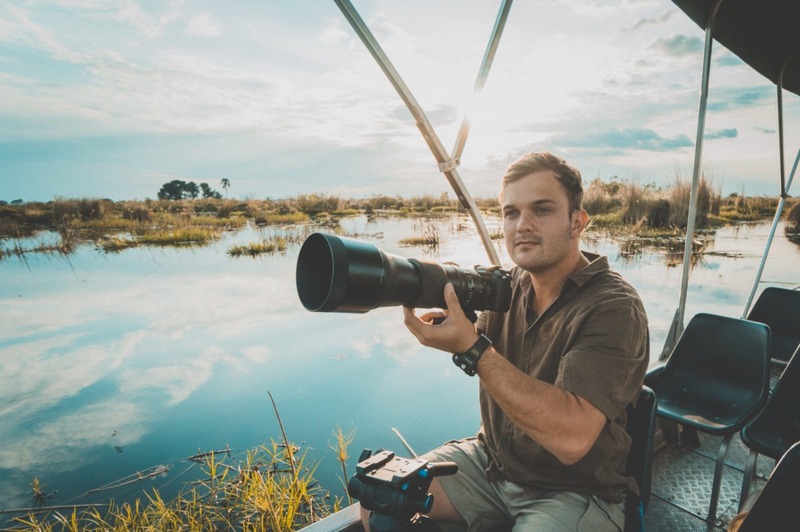 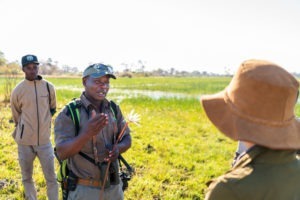 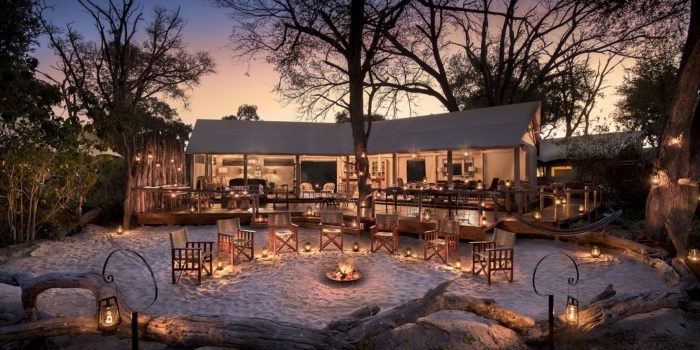 The main area consists of a large raised platform centered around a massive Figtree, where professional and friendly staff cater are ready to cater and host your Okavango get away. There is plenty of seating area as well as a main dining area where all the fine dining takes place. 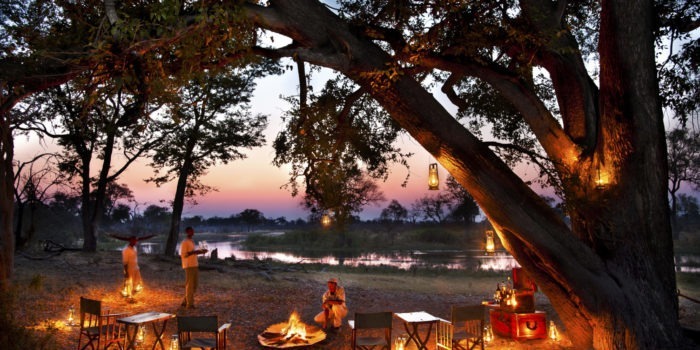 There is a fireplace located on ground level, on the white sand of the delta where it belongs and overlooks a vast lagoon. 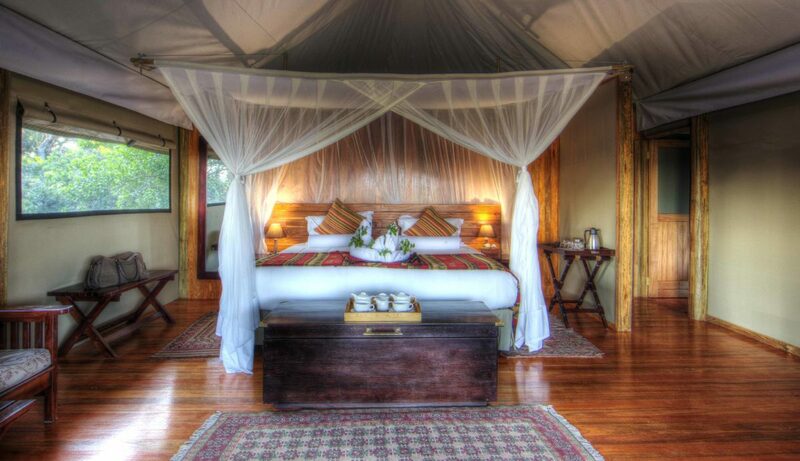 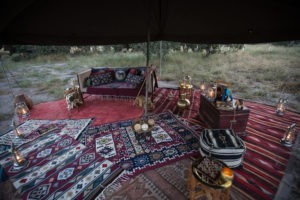 There are seven luxury guest tents, both twin or double, as well as a family tent. All having their own en-suite bathrooms with flush toilets, running hot and cold water and a laundry service. 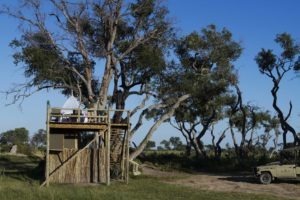 There is also a sleepout deck located away from the lodge for those seeking an “star-lit sky” experience. 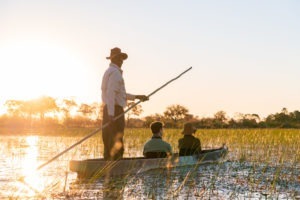 The activities at Kanana are incredibly diverse but are however at the mercy of the annual floods which dictate water levels and access to certain areas. 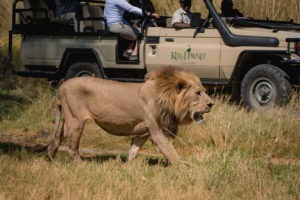 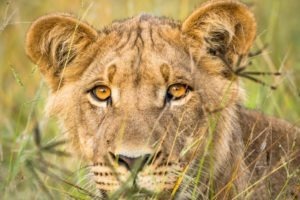 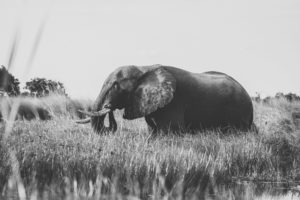 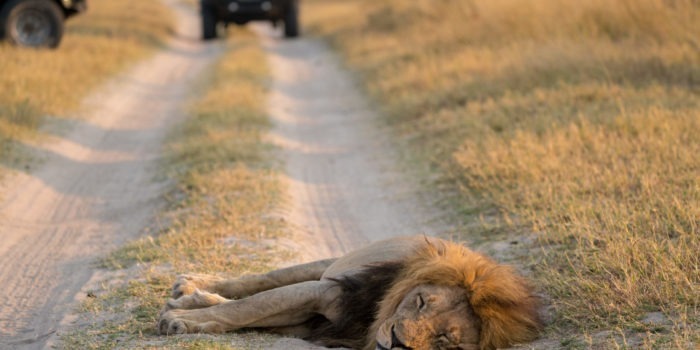 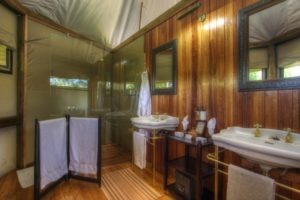 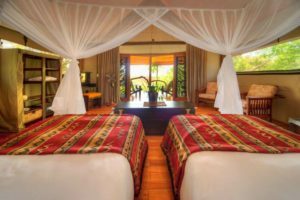 Both morning and afternoon game drives can be expected which can be supplemented by boating, mokoro, fishing and walking safaris making this one of the camps which just about has it all. 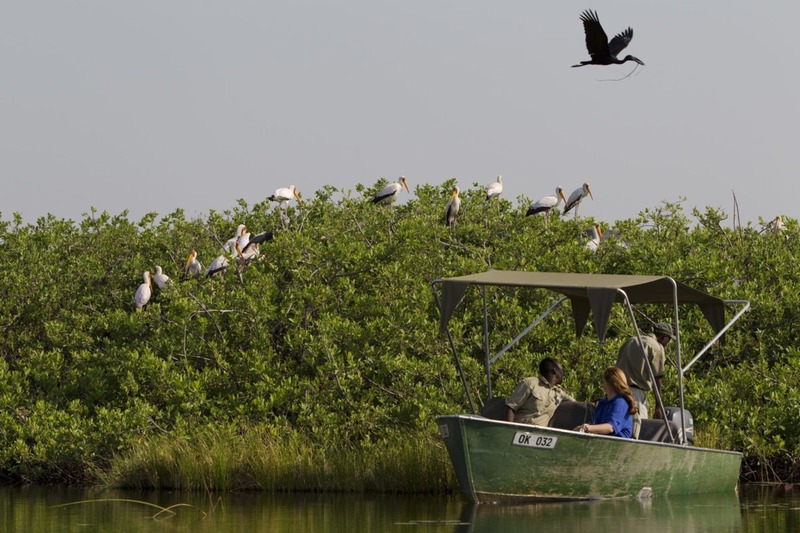 Added onto of the varied activity list is the abundance of wildlife, especially birdlife with the concession being home to a seasonal heronry that’s nesting ground for many bird species. 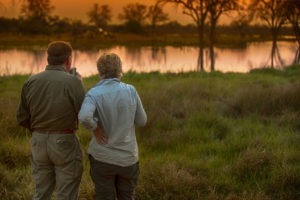 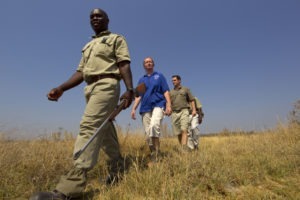 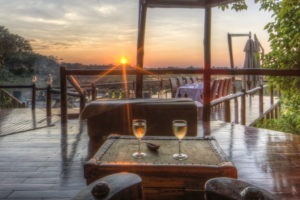 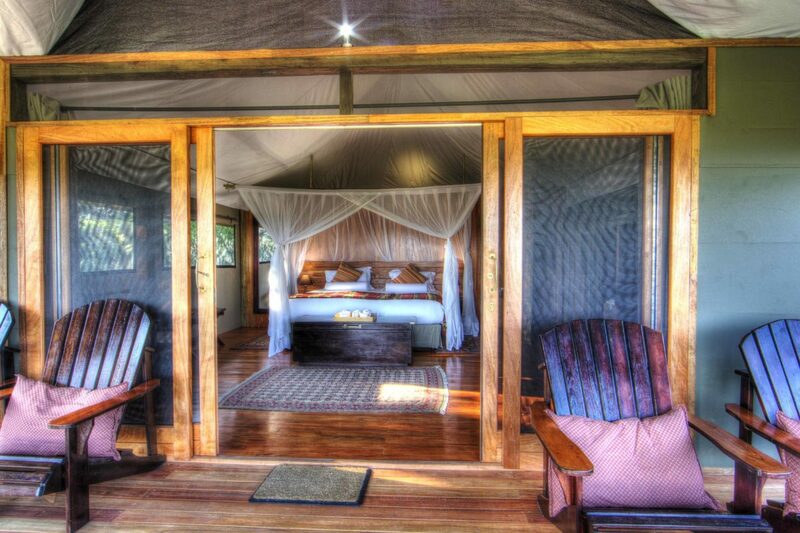 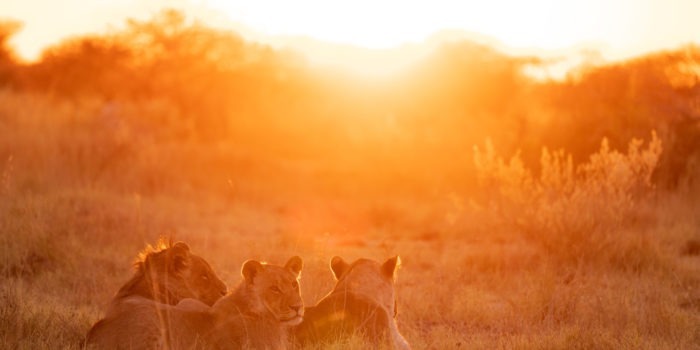 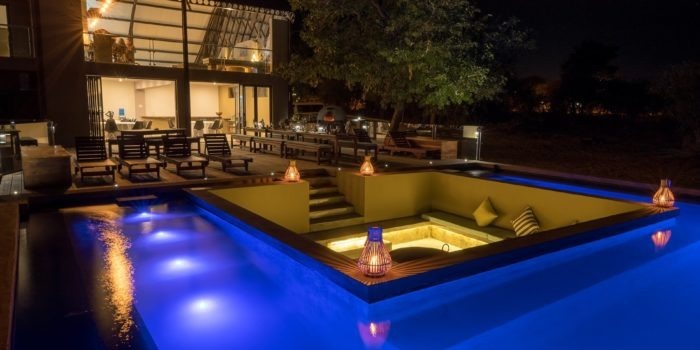 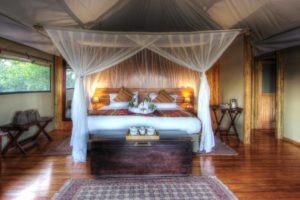 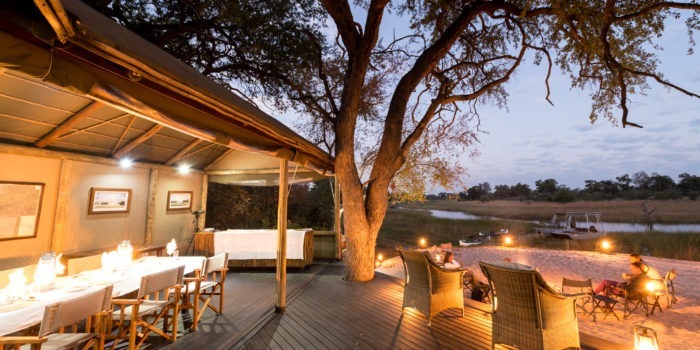 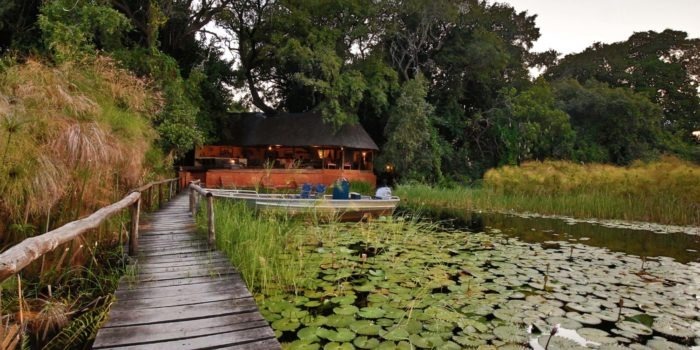 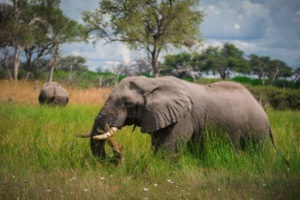 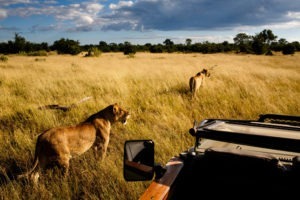 Located in its own private concession deep in the Okavango. 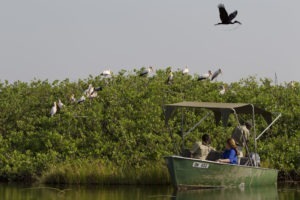 Home to a seasonal heronry which excites even non-birders. 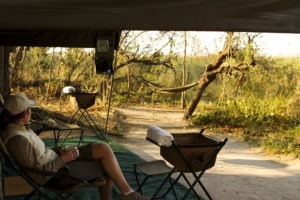 Exceptional service, accommodation and guiding. 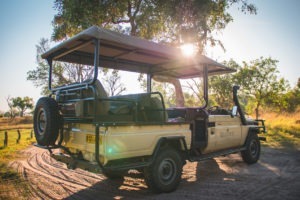 Four person per vehicle maximum allowing for more space and personal attention.